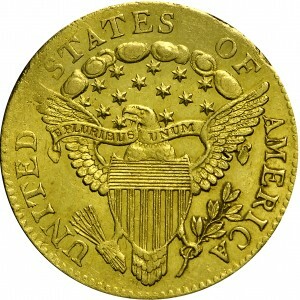 This variety is the common 1804 quarter eagle with 14 reverse stars, the extra star in the middle row. 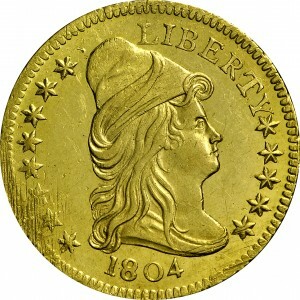 The recorded mintage for both 1804 varieties totals 3,327 coins. Approximately 125 examples of this die variety exist, suggesting a 10 to 1 ratio between the two varieties. 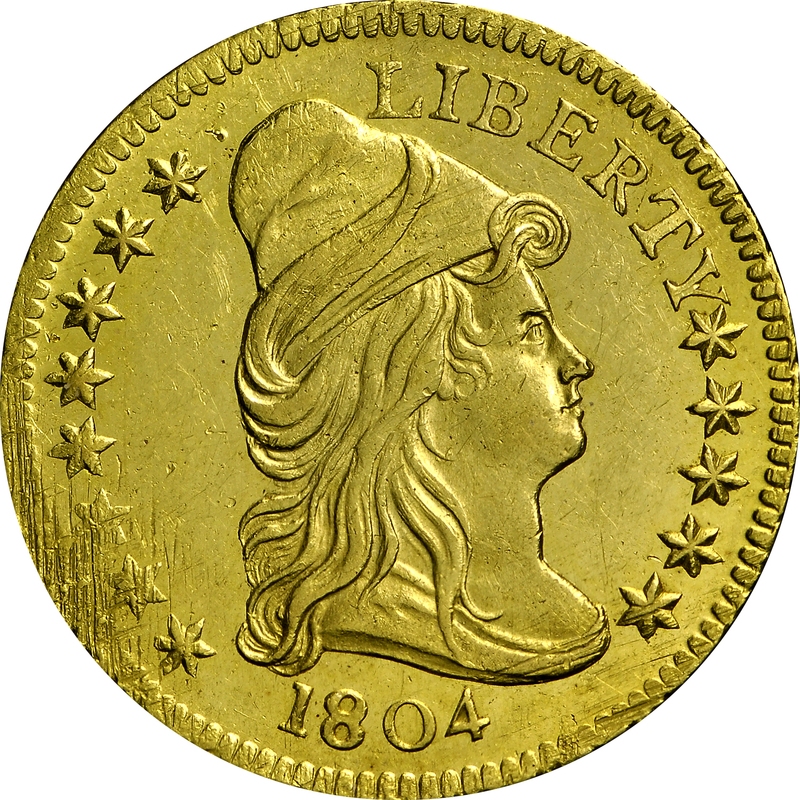 We would expect the breakdown of mintage to be roughly equivalent, or about 3,000 examples of this die marriage. 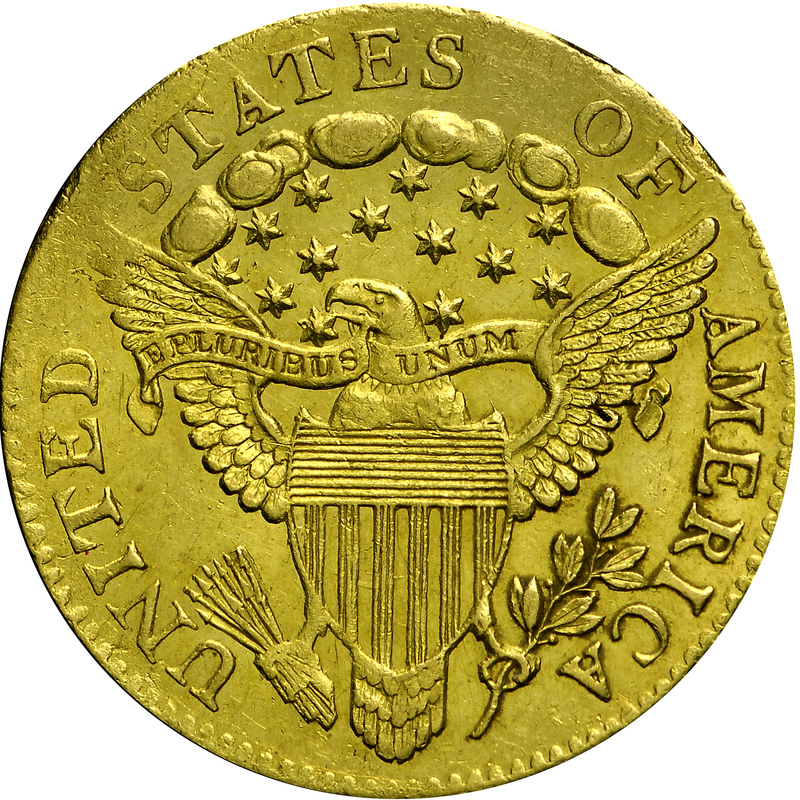 Although numismatic students have made several attempts, it is not possible to predict the mintages of individual varieties accurately and consistently based on rarity. Only broad generalizations can be made with estimates provided. Purchased from the Goliad Corporation, August 23, 1982. "Obverse: No crack at 4 of date. Reverse: 14 stars."